In November 2016, the former Japanese Hospital, located at 101 S. Fickett St. in Boyle Heights, became one of Los Angeles’ newest historic-cultural monuments (HCM). 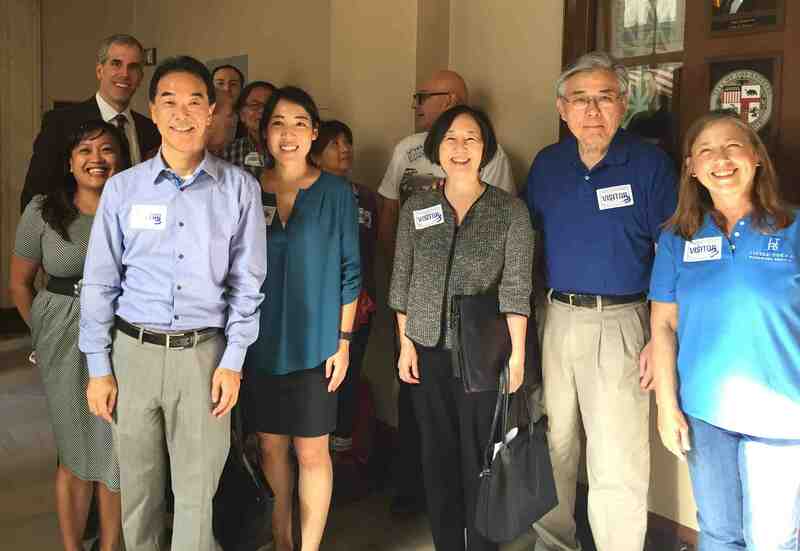 Members of the Little Tokyo Historical Society (LTHS) recognized the significance of the Japanese Hospital and spearheaded a multi-year project to obtain the formal designation from the City of Los Angeles. Their efforts resulted in full support from the Cultural Heritage Commission, the Planning and Land Use Committee (PLUM), Los Angeles City Council, and Mayor Eric Garcetti, validating the importance of the site. Unlike many other prominent buildings in Los Angeles, the architecture is not what makes the site noteworthy. Rather, it’s the story behind the building that gives the Japanese Hospital its significance. The Cultural Heritage Commission and members of the City Council acknowledged this. At a PLUM committee meeting in November, Councilmembers Jose Huizar and Gil Cedillo took the time amidst a full agenda to reminisce about growing up in Boyle Heights and acknowledge the importance of designating buildings, such as the Japanese Hospital, that had such a profound impact on the local community. 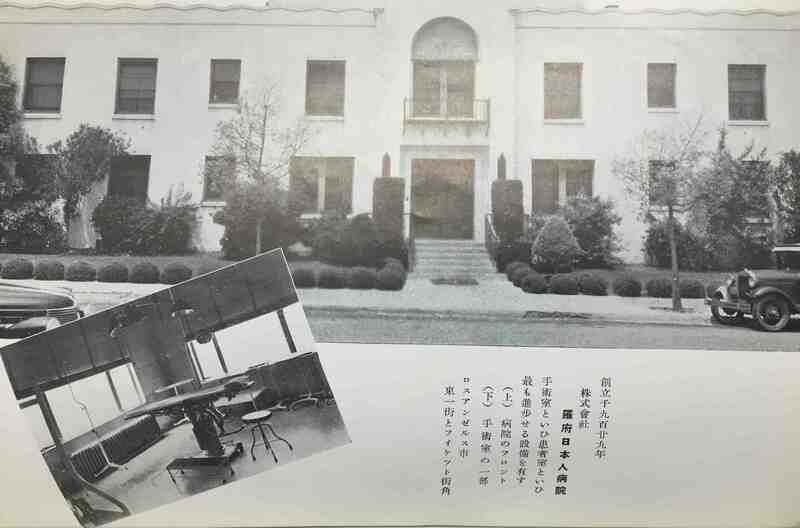 As a result, the Japanese Hospital was designated HCM #1131 and the seventh Los Angeles City HCM to represent the Japanese American experience. Tuna Canyon Detention Center and Manzanar War Relocation Center are two sites that represent the incarceration of persons of Japanese ancestry during World War II. The other four reflect community life. The original Nishi Hongwanji Buddhist Temple on Central Avenue, the former Union Church, and the Aoyama Tree (original site of Koyasan Buddhist Temple) reflect Japanese American faith, while the now-gone Holiday Bowl building in the Crenshaw District represents the once popular social and recreational gathering spot for Japanese Americans. The Japanese Hospital makes a unique contribution to this list by illuminating the success of five Issei doctors who successfully challenged discriminatory legislation to establish a health care institution that would improve the lives of members of the community. The Japanese Hospital is a seemingly ordinary building with an extraordinary human story to tell. It illuminates the Japanese American community’s attempt to create a health care facility as a means to combat racial discrimination in early 20th-century Los Angeles. The Japanese Hospital was accessible to the surrounding community, primarily to other ethnic groups that faced the same challenges in receiving adequate health care. 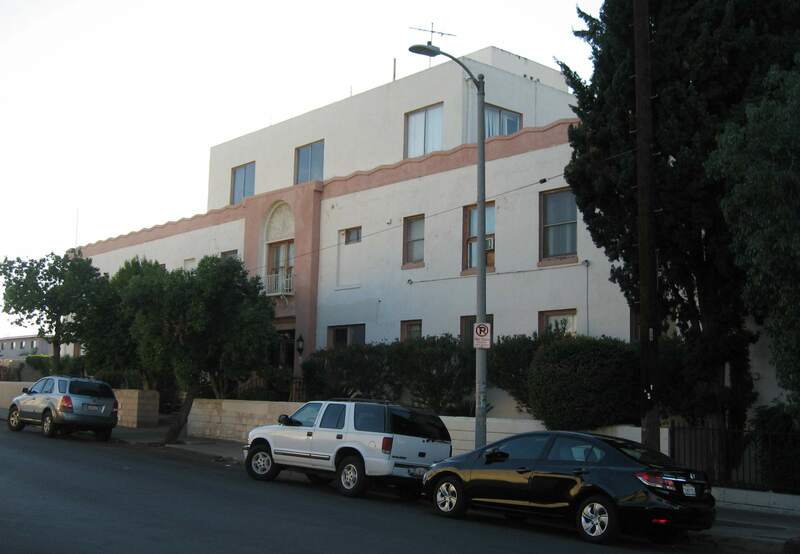 The clientele of the hospital reflected the diverse makeup of Boyle Heights, causing the Japanese Hospital to build a reputation for providing egalitarian and exceptional care — a legacy that has continued to the present. Understanding the impact that the hospital had both within and beyond the Japanese community was particularly poignant to LTHS member Kristen Hayashi, who authored the HCM application. As a Ph.D. candidate in history currently working on a dissertation, she spends considerable time in archives, poring over documents to piece together the past. While this was her approach for researching and writing the nomination, she has been incredibly moved by the continuous discovery of how many lives have been impacted by the hospital. Countless individuals have revealed that they were born at the hospital, had their appendix removed, or were inspired to go into the medical profession after receiving care from doctors and nurses at the Japanese Hospital. The LTHS is currently planning a plaque dedication ceremony to commemorate the HCM designation. LTHS was established in 2006 as an all-volunteer nonprofit organization composed of members and friends who have a keen interest in researching and discovering the historical resources, stories, and connection of sites, buildings and events related to Little Tokyo as an ethnic heritage neighborhood. For information on donating to the Japanese Hospital HCM plaque and LTHS more generally, www.littletokyohs.org/. To see an article on the history of the Japanese Hospital, click here.